Jaebeom was born and raised in Seattle, Washington. 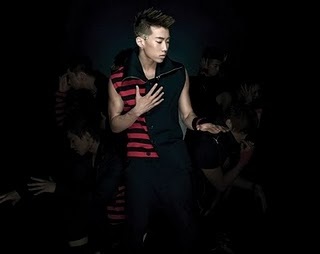 Originally entering JYP Entertainment as a rapper and b-boy, he trained for four years to improve his singing and Korean. It was initially his mother who led him to apply as he wished to not attend college, and Jin-Young Park (JYP) himself watched his audition and brought him to Korea. He collaborated with Yeeun of Wonder Girls for "正" ("Jeong") on the Han Sung Byul Gok OST. Due to his comments on his MySpace page, he left the group on September 8, 2009. On February 25, 2010, JYP Entertainment announced that Jaebeom's contract was permanently terminated.